We are one of the renowned manufacturers, suppliers and exporters of Impact Testing Machines that are widely used in engineering industries. Our Products are highly demanded for the reliability and premium quality that we provide to our valued patrons. We manufacture these products using excellent quality raw material sourced from trusted and certified vendor-base. Our dexterous team of professionals manufactures these products using latest machineries and tools ensuring qualitative outcome for valued patrons. These machines are manufactured as per the international norms and standards. Customer can avail customization facility from us as per their needs and requirements. Abiding by the ethical norms of the industry, we are engaged manufacturing, supplying and exporting Pendulum Impact Testing Machine. Manufactured in accordance with industry laid guidelines, these impact testing machines are available in various specifications as well as in custom-built range to meet the needs of the customers. In addition to this, our professionals employ advanced machines and use quality approved material procured from the trusted vendors of the market. We are offering Poldi Test Bar to our clients. We provide high-quality products to our Customers. 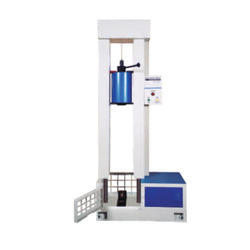 We are among the prominent organizations engaged in manufacturing, supplying and exporting Drop Weight Impact Testing Machine. These impact testing machines are manufactured in accordance with international standards by using high grade material sourced from the authentic vendors. Along with this, our experts monitor every stage of production, so as to maintain higher quality standards. Driven by perfection, we are engaged in manufacturing, supplying and exporting a quality range of Charpy & Izod Notch Broaching Machine. Manufactured in tandem with industry laid norms, these broaching machines are supervised by our experts at every stage of production, in order to maintain higher standards of quality and eliminate defects, if any. Along with this, we also offer these machines in customized range, as per the requirements of the patrons. With the help of skilled workers and latest machineries, we are able to offer a wide gamut of Motorised Impact Testing Machine. 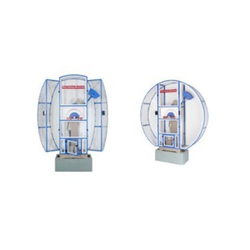 Manufactured using optimum-grade raw material which is procured from authentic vendors of the market, these machines are in compliance with international quality standards. Before the end dispatch, our entire range is thoroughly scrutinized under the vigilance of quality inspectors so that only flawless machines are delivered at clients' location. We are offering Charpy Impact Testing Machineto our clients. 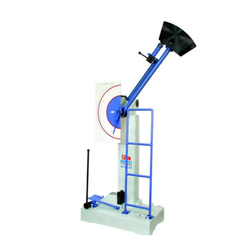 Backed by technologically advanced infrastructure, we are dedicatedly engaged in manufacturing, supplying and exporting Pendulum Impact Testing Machine. 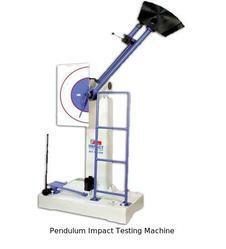 Working on pendulum principle, these machines are best suitable for charpy and izod impact tests on various materials. 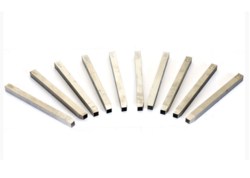 These machines comprises, support blocks and strikers that are made up of special alloy steels ensuring high tensile strength and flawlessness. It gives a direct indication of Impact energy absorbed by specimens on large dial for Models AIT-300-N, AIT-300-EN and on digital panel display for Model AIT-300-D. It has ASTM Impact Testing machine conforming to E-23 ASTM standards. Customers can avail customization facility as per the needs and requirements. 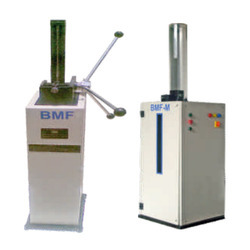 Looking for Impact Testing Machines ?